There was a small decrease in LDP rates this past week. It is difficult to track the LDP rates daily as the Posted County Price is based off of a 5 day average of the terminal markets from Kansas City and the Gulf and the basis from those terminals are on a 5 day average. Therefore, can be difficult to determine what the rate will be from day to day. LDP rates for the previous week are shown below. This past week we heard of the passing of Connie McPherson, we extend our sympathy to her family. Without Connie at the Kiowa County Press newspaper for all these years; this weekly UPDATE would not have published. She was kind to both Rod Johnson and myself; as she gave us both our 'own' deadline as it was a day later than others. Our deadline was Wednesday mornings before 9:00 a.m.; if the article didn't reach her by 9:10 there she always gave us a friendly reminder. She had to put up with email issues, forgetfulness and at times Rod and I both tried to throw too much information in one article. But, Connie always made it work. Thank You Connie for your service to our local newspaper and in your dedication to keep the presses rolling. You will always be remembered fondly here at the office. Rest in peace. The CRP routine grazing period of July 16th - September 14th has passed and cattle should be removed by the 14th. The next 60 day grazing period is October 1st - November 30th. The majority of the producers who were grazing were doing so to meet the required contract management for the CRP contract, those producers will be receiving paperwork to complete and that paperwork will need to be returned by October 10th to the FSA office. 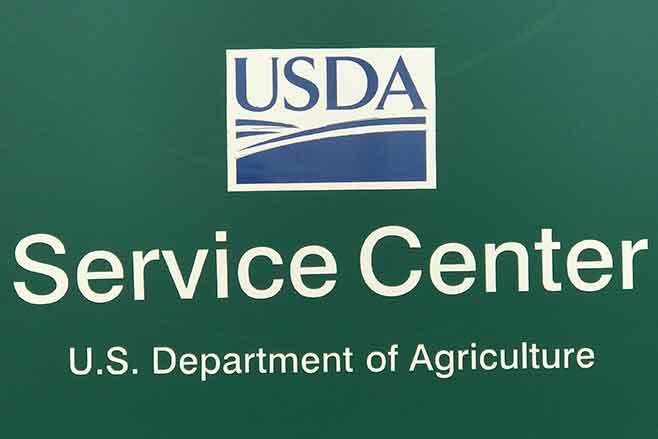 Producers must have a grazing plan through NRCS and the required paperwork completed at FSA BEFORE grazing can occur. There is a 25% annual rental reduction for the CRP contract unless the cattle grazing the CRP are owned by a Beginning Farmer and Rancher. If the cattle are owned by a Beginning Farmer and Rancher then the rental rate reduction is zero. 1.5% - Disbursed commodity marketing loans.